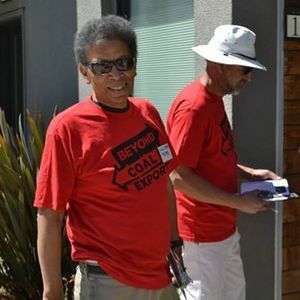 An ordinance to phase out toxic coal exports through Richmond is due to come before the Richmond City Council in late March or early April. This means we have only one month to reach out to Richmond neighbors about the megatons of coal coming through the city in open rail cars and sitting in uncovered piles at the Levin-Richmond terminal next to the Bay. 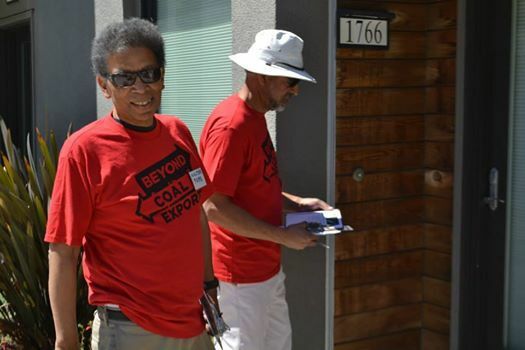 No Coal in Richmond is going door-to-door to raise awareness and collect signatures on a letter to the council demanding immediate action on this public health and climate hazard. We need your help! You'll get a quick briefing, pick up materials and a map, and leave from there with a partner. The work is gratifying and easy; 95% of those who open their doors say "No coal in Richmond? Where do I sign?" Background: The Levin-Richmond terminal shipped 1.1 million metric tons of coal in 2017 (figures for 2018 not yet available). Mile-long coal trains of 100 open railcars each run through residential neighborhoods and are unloaded at the terminal only a few blocks blocks from homes, schools, and workplaces. From there the coal gets shipped to Asia and Mexico. No Coal in Richmond meets 7–8:30 pm the second Wednesday of the month at 2540 Macdonald Ave., Richmond. Next meeting Wednesday, March 13. All are welcome!